Life-size 3D predator decoy frightens birds including geese, ducks, etc. Block Pest Birds from their favorite landing and roosting surfaces with Bird Spikes. Tough, long-lasting polycarbonate material, provides maintenance-free protection. Transparent material doesn't mar the look of a building. The spikes function as a 'keep-out' sign for birds. The density of spikes are branched from the vertical shafts to offer impenetrable coverage. Spikes allow mounting on most surfaces and are easy to install with adhesive (not included). Each foot of spikes covers one linear foot, and a "spread" or width of up to 6 in. It's the most effective, inexpensive, and permanent bird control solutions. 25 one-foot sections per box. Block pest birds from their favorite landing and roosting surfaces with Bird-X Bird Spikes. Tough, long-lasting polycarbonate material provides maintenance-free protection. Transparent material doesn't mar the look of a building. The spikes function as a 'keep-out' sign for birds. The density of spikes is branched from the vertical shafts to offer impenetrable coverage. Spikes allow mounting on most surfaces and are easy to install with adhesive (not included). Each foot of spikes covers one linear foot, and a "spread" or width of up to 6 inches. It's the most effective, inexpensive, and permanent solutions to keeping those annoying birds off any commercial or residential surface. 50 one-foot sections per box. 3-D Coyote Predator Replica Canada Goose Repellent Coyote Decoy This Wind Movement 3-D Coyote Replica is a full-size, life-like replica of a menacing predator. It helps rid your property of Canadian geese, birds, and other small animals. It works without chemicals for a safe, humane and effective deterrent, and its 3-dimensional design provides 360-degree coverage that is visible from any angle. 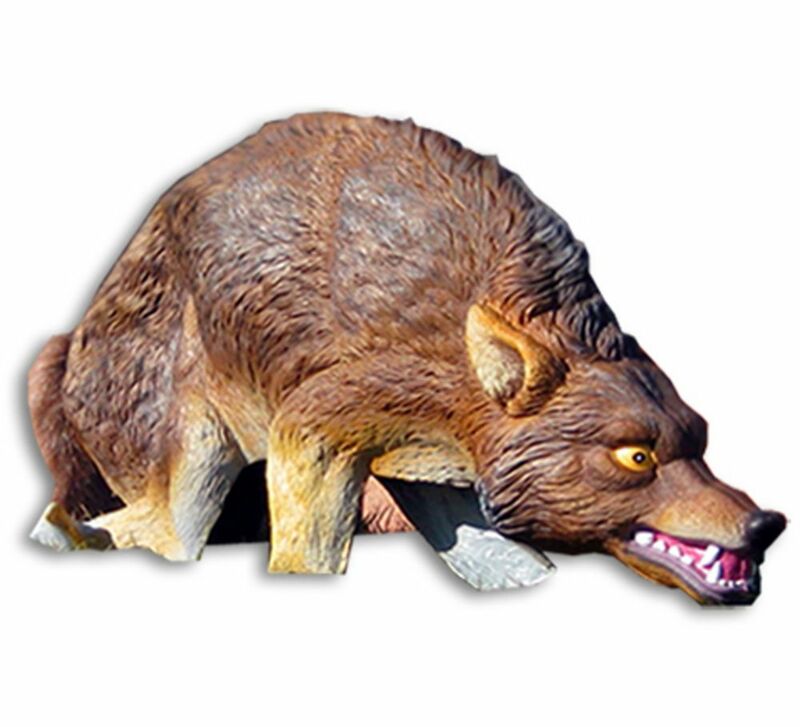 3-D Coyote Predator Replica Canada Goose Repellent Coyote Decoy is rated 3.2 out of 5 by 39. Rated 1 out of 5 by Michael from does not regain shape...it is flat and doesn't look life... does not regain shape...it is flat and doesn't look life like. Rated 5 out of 5 by Papa from So far so good. We have had geese behind our... So far so good. We have had geese behind our house more a long time. Decided to invest in two 3-D Coyotes. The geese are now gone! A few come back but leave right away. I do move the coyotes every other day, I think that is the trick to getting rid of the geese. Rated 1 out of 5 by Ruthy from Doesn’t work The coyote decoy was our attempt to rid our lawn of Canadian Geese. The geese stayed away for a day but then got used to it and were right back again . Rated 5 out of 5 by Wally2020 from The 3-D Coyote Replica seems to be working keeping the geese out of my hard. I have two placed on... The 3-D Coyote Replica seems to be working keeping the geese out of my hard. I have two placed on each corners by the water. Any info about whether this works for repelling raccoons? Or are raccoons so smart they won't be fooled?